The right diagnosis is the key to successful treatment. By using appropriate diagnostic tests Dr. Thompson is able find answers and work towards a cure. 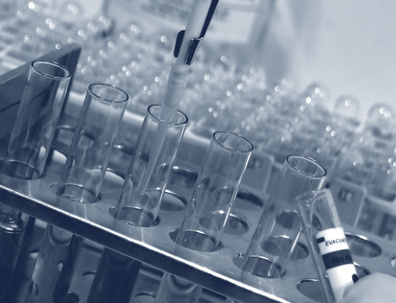 In addition to standard laboratory testing, SNC offers several specialty labs. Cardiovascular Testing – Heart disease is one of the leading causes of death in the U.S. New testing for inflammation, cholesterol sub-fractions and genetics can help you understand your true risk. With this knowledge you can make the necessary changes to live a long, healthy life. Food Allergy Testing – Most food allergies and sensitivities are delayed. This means that you can have a negative reaction up to 3 days after you eat the offending food. Because of this time lapse it can be very difficult to pinpoint the reactive food. At SNC we use blood tests that check for food antibodies and determine which foods are making you sick. Gastro-intestinal Function Tests – The function of the digestive tract has a huge impact on overall health. After all, you are what you eat, digest and absorb. But many people have weak digestion, malabsorption, intestinal parasites or candida overgrowth. With gastrointestinal function tests we can figure out what is compromising you digestion and bring it back into balance. Genetic Profiles – The field of medical genetics is rapidly expanding. Each month we discover new links between our genes and the development of disease. By learning your own susceptibilities you can take the necessary steps to prevent illness and maintain vibrant health. Heavy Metal Testing – Heavy metals such as lead, mercury, arsenic are ubiquitous in our environment. When we absorb these toxic metals they block our metabolism and lead to a variety of diseases. By testing your levels you can determine if heavy metals are contributing to your health problems. Testing is also used to monitor chelation therapy and other forms of heavy metal detox. Hormonal Analysis – Hormonal balance is vital for health and well being. We offer in-depth testing for thyroid function, adrenal stress, female hormones (both pre- and post-menopausal), male hormones and blood sugar regulation. Nutritional Analysis – Have you have ever wondered if you are taking the right vitamins, minerals and essential fatty acids? Now you can find out. We offer blood tests to check for any nutritional deficiencies so that you know which supplements you really need. Testing for Toxic Chemicals – We are all exposed to toxic chemicals on a daily basis. Many of these chemicals are stored in fatty tissue and build up over the years, compromising our health. By testing for these chemicals we can choose the right cleansing protocols to eliminate them from the body and restore health.